CHECK OUT THE NEW PHOTOS AT THE BOTTOM OF THE PAGE! CLICK ON VIEW ALL. Here is a list of Amateurs who have volunteered to serve as mentors. Please contact the one nearest you for some help and advice. Following the call sign you will see a broad definition of a mentor’s particular skill or area of interest. In nearly all cases, these gentlemen can offer “general” help in getting you started. Because we’re volunteers, some mentors may not be available at a given time, but another mentor will be happy to help you. 4. A pen. Forms must be signed in ink. 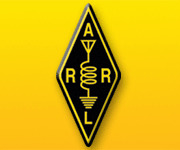 The Delaware Amateur Radio Testing Team (DARTT) conducts FCC Ham Examinations in Sussex County Delaware Contact W3TL, Joe Stormer at w3tl@arrl.net for more information. The First State Amateur Radio Club conducts FCC Examinations in New Castle County Delaware contact Jim Smith at n3uz.com for more info. The Kent County Amateur Radio Club Conducts Examinations in Kent County Delaware Contact: Jerry Palmer N3KRX at n3krx@aol.com (302) 398-4115 or (Alternate) Ken Steele N3QJJ at n3qjj@hotmail.com (302) 653-2144. Testing is held in Room 209 at the Wyoming United Methodist Church, 216 Wyoming Mill Road, Dover, DE 19904. Enter on North end of the building, Room 209 is the first room on the right. Remaining 2016 test dates are: June 11, September 10, and December 10. The Sussex Amateur Radio Association (SARA) conducts testing on the third Thursday of each month in conjunction with regular club meetings. Location is Muligans Point Country Club in Georgetown. Testing begins at 6:30 PM. The SARA Test Team is associated with the Laurel VEC and there is no charge for testing. Contact Herb Quick KF3BT kf3bt@arrl.net for more information. The First State Amateur Radio Club meets the fourth Thursday of every month (other than November and December) at 7:24 PM. The starting time for the First State ARC meetings is 7:24pm. The date is still the 4th Thursday of the month, except in November and December (3rd Thursday.) FSARC meets in the Corporate Services Company building at 251 Little Falls Drive in Wilmington. Enter the building and ask the guard for directions to the radio club meeting. The Green Turtle Sports Bar and Grill, is located at the Village of Five Points, 17388 North Village Main Unit 21, Lewes, DE 19958. Tim Brown, WB9NDF, 1st V.P. Jim Ippolito, KB3IOG, 2nd V.P. Roxana,DE Repeater WS3ARA 145.250 Output 144.650 Input P/L 156.7. This is a Fusion repeater. Nanticoke Amateur Radio Club NARC Net Monday evening at 8:00 PM on the 146.715 (156.7 PL) repeater K3NKT. The Delaware Repeater Association Inc. meets Quarterly the months of March, June, September and December on the Second Tuesday at 7:00PM at the Brandywine Community Center in Wilmington. 9:00 pm those without a badge need to be escorted. events links at the top.